Prithvi Shaw scored a century on debut, playing a key role in India's big win in the series-opener. 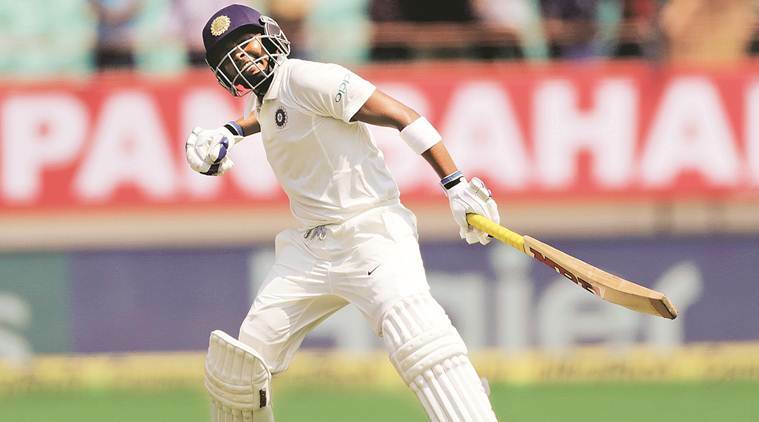 West Indies all-rounder Roston Chase says they are better prepared to tackle young Indian batsman Prithvi Shaw, whose initial onslaught had set the tone for their embarrassing defeat in the first Test. Young Shaw scored a century on debut, playing a key role in India’s big win in the series opener. “I am sure our guys would have learnt quickly from what happened in the first Test and we will know some of the strengths of the young Shaw, who really took us apart early in the game. I am sure we will learn from our mistakes in the first game and move on smartly in the second game,” Chase said on the eve of the second Test. Chase also explained the reasons for his team’s batting debacle in the first Test. “Firstly, India scoring 600-odd runs. It was always going to be a hard task for us to comeback and surpass that score. I thought that on the first afternoon that we batted, guys were a bit tired having fielded so many overs. But after that, I thought we didn’t really apply ourselves on the pitch. He also admitted that playing with two inexperienced pacers Keemo Paul and Sherman Lewis was also contributed to defeat as they were unable to control the rampaging Indian batsmen.